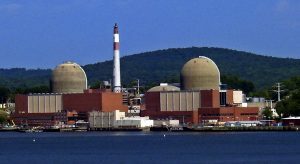 In January, New York Governor Cuomo, Riverkeeper, an environmental group, and Entergy, a nuclear utility, announced a joint agreement to shut down the two nuclear reactors at Indian Point (IP) by April 2021. Replacement power will be provided by clean energy sources consistent with New York’s Clean Energy Standard, which requires 50% of the State’s electricity to come from renewable energy by 2030. It is claimed that this can be achieved with a negligible cost to ratepayers. The plant currently provides carbon-free and low cost electricity for about one quarter of the power consumed by New York City and Westchester County. However, opponents of the plant argue that IP’s location poses a major risk to the nearby highly populated area if an accident were to occur. A number of local legislators are questioning this joint agreement, pointing out that closure means significant job losses and a reduced tax base. The adequacy of the decommissioning fund also is in doubt, leaving the possibility that radioactive fuel will remain on site for many years, perhaps decades. An alternative to closing IP would be to modernize the emergency plan, thus addressing the safety concerns. Instead of needing to evacuate 20 million people within 50 miles of IP, as many incorrectly believe, a much simpler and highly effective emergency response is available. At Fukushima, the Japanese were able to prevent any early fatalities from radiological sources by preemptively evacuating the inner two miles around the site and sheltering downwind. Many hours were available to implement this simple emergency response. According to the World Health Organization long term radiological health effects would be too small to even be detectable. If the Japanese can achieve essentially zero radiological health effects in spite of a greater than magnitude 9 earthquake and a towering tsunami, surely New York can use this modern emergency response to protect its citizens in the unlikely event of a reactor accident at IP. 1. Without IP’s carbon-free electricity production, how likely is it that New York State will achieve its 50% Clean Energy Standard goal by 2030? 2. Could a modern emergency plan for Indian Point provide a safe solution and avert the need to close a carbon-free, major electricity source? According to a May 23rd Bloomberg announcement, ratepayers could end up paying as much as $3.9 billion/year for nuclear subsidies to keep these old plants on-line. Why should we be propping up old nuclear plants whose operations and maintenance are going up, whose safety is in question, and whose nuclear waste is a harbinger of bigger problems? The theory that there is a way around evacuating people from a major “event” near New York City is nonsense. The plant is old, the plant is no longer a safe bet, and the economic, environment, and human risk is too high to play games – especially when there are safer options. New York State has huge base of renewable resources. New York has more than 120 miles of Atlantic coastline for tidal & wave energy and offshore wind meeting more than 11 GW’s of electricity. Freeflow hydropower and marine energy can meet 10% of NY’s needs on a 24 hour basis. Currently New York has 216 operational biogas systems with potential for more than 308 new projects to be developed based on the estimated amount of available organic material from landfills, food processing, and animal manures. According to the American Biogas Council, “constructing this many projects would generate $924 million in capital investment, and create 7,700 short-term construction jobs, 616 longterm jobs, and numerous industry-supporting jobs. But far more energy could also tap biogas from the State’s sewage and municipal water facilities – and taken all together biogas could meet 18% of New York State’s 24-hour electricity needs. NY is just shy of 1 GW of photovoltaics installed but is driving to 3 GW’s installed in another 7 years. And NY is the nations 15th windiest state with 1.8 GW installed in 2014 and cost-effective wind will rise to 8 GW in the next decade. The energy savings potential is also “Yuge” with net-zero energy and LEED platinum buildings, geothermal heat-pumps, solar daylighting and solar water heating, smart windows, LED lighting able to cut back the State’s electric load requirements by 15%. I could go on, but the point is there are many, many cost-effective solutions, that create more jobs, save more money, use less fresh water and have minimal risks and no wastes. The idea to keep aging nuclear power plants open beyond their original life expectancy is not cost-effective, is not safe, and result in intolerable risks, that no one should have to face when we have sound options. NY State’s response is justified. The inconvenient truth is that when nuclear plants are shut down they are not replaced by renewable energy to an appreciable degree. Look around the United States and see if you can find a single shut down nuclear plant that wasn’t replaced by fossil fuels. Look at Germany with its Energiewende program. The Germans are burning dirty lignite coal to make up for their shut down nuclear plants. Look at Japan in the post Fukushima era. In spite of being the home for the Kyoto treaty, fears of radiation have them burning imported fossil fuels at great expense. Your comment about the inability to evacuate the area around Indian Point is wrong. The oft repeated fiction of needing to evacuate 20 million people out to 50 miles has no basis in science and is 1000 times too large. Evacuation out to two miles ( 20,000 people at Indian Point) is not theory as you mistakenly said. As the discussion paper pointed out, this two mile evacuation response, plus downwind sheltering, actually happened at Fukushima and was extremely successful in protecting the public, even under the severe conditions of a greater than magnitude 9 earthquake and a towering tsunami. As Dan Miller has stated, the planet is under attack from the climate change deniers now running Washington. Implementing what you recommended would only add to this. The crux of the matter is that nuclear power is, along with hydroelectric, the most reliable low-carbon source for baseload/dispatchable power. Those who want to abandon older nuclear plants like Indian Point should have a credible plan to replace and even expand the kind of reliable ‘clean’ power the plant provides. That is assuming they believe that carbon emissions matter. You are exactly right. NY State will be hard pressed to meet its goal of 50% renewable electricity by 2030, just 13 years away. But the State has to do more than meet this ambitious renewable electricity goal; it has to maintain a highly reliable electric power system and produce electricity at competitive prices. Achieving all three requirements simultaneously is a formidable task that becomes even more difficult if Indian Point is shut down. To get from 21.7% to 50% renewable electricity by 2013 will be very challenging. Significant expansion of hydropower in New York is unlikely. Recent analyses by the National Renewable Energy Laboratory (NREL) concluded that, nationally, it would not be economical to install photovoltaic systems in about 50% of the residences and commercial buildings. The percentage of residences and commercial buildings that would be uneconomical in New York would be greater than 50% because of its higher population density than the national average. The nation’s extreme population density is in New York City, especially Manhattan, the very location served by Indian Point. Wind power can be expanded and NY has committed to the building nation’s largest offshore wind farm of 2,400 megawatts by 2030. If large wind turbines are used, 2.3 MW machines, about 1043 such machines would be needed, if they operated at a very high capacity factor of 46%. Collectively, these 1043 wind turbines would be able to supply about 7.3% of the State’s electricity by 2030, assuming no increase in the demand for electricity. At this time the Long Island Power Authority has approved 15 turbines to operate 30 miles east of Montauk Point claiming that they would provide 90 MW of capacity, or 6 MW per turbine. By comparison, a General Electric 2.3 MW wind turbine has blades that are 154 feet long and a total height of 482 feet (the Washington Monument is about 570 feet tall). If the LIPA offshore plan is implemented it would only amount to about 4% of the much larger State offshore wind plan recently announced. Unknown at this time is how well such huge machines will operate in a salt water environment and through hurricanes and ice storms. According to the Energy Information Administration (EIA) the levelized capital cost for a new offshore wind power is $134/ MW-H. EIA estimates that advanced nuclear levelized capital costs at $78/MW-H. If one assumes that hydropower maintains its present output through 2030, that solar/photovoltaics by 2030 is 10 times larger than it was in 2015, that the State manages to build the nation’s largest offshore wind farm, the State would then only be able to provide about 30% of its electricity from renewable energy sources by 2030. If the 20% shortfall of its renewable electricity plan were to be made up by additional land based wind power, operating at an average capacity factor of 34.7%, about 3,900 2.3 MW turbines would have to be erected , along with their associated transmission lines, storage facilities, etc. Between onshore and offshore wind power over 4900 large wind turbines would have to be constructed by 2030. Alternatively, the State could reword its goal to have 50% clean electricity by 2030 instead of 50% renewable electricity by 2030. This would be easy to accomplish because it already is at 54% clean electricity with its nuclear power plants. As you said, it depends if people really believe that carbon emissions matter. The situation about importing Canadian hydropower is a bit unclear. In recent testimony before a joint meeting of the NY Senate and Assembly energy committees, Richard Kauffman, NY’s “Energy Czar”, testified that it would be up to market forces, i.e., private capital sources, to construct new hydropower lines from Canada, i.e., that such an endeavor is not a State sponsored program at this time. For a number of years a 2000 MW line from Hydro-Quebec, the Champlain Hudson Power Express, has been talked about. However, this project was originally intended to replace fossil fueled power plants on Long Island and it required both an Environmental Impact Statement (EIS) and a Presidential Permit. Much like the Keystone XL pipeline, energy import projects involving a foreign nation, Canada in this case, requires an EIS and a Presidential Permit. It seems to me that repurposing the Champlain Hudson Power Express EIS to replace Indian Point instead of replacing fossil fueled power plants is legally questionable. The environmental benefits identified in the original EIS were based on displacing about 1.5 million tons of carbon dioxide/year from the fossil plants plus 751 tons of sulfur dioxide and 641 tons of nitrous oxides per year, none of these replacements would apply to the Indian Point situation. The original EIS also estimated a savings of $554 to 654 million dollar per year compared to the cost of non-hydropower in the Long Island area at that time. Nothing in the original EIS was based on replacing the clean and low cost electricity from Indian Point. It seems doubtful that, even if a new EIS were written it would get approval by the Department of Energy or obtain a Presidential Permit, under the present Republican administration. If Indian Point is shut down over 1100 jobs will be lost as well as millions of dollars in tax revenues. Canadian hydropower means the transfer of jobs and money out of the country and, in today’s world, this would be a hard sell. You are right that there are reasons to think the Trump admin. might be hostile or at least unfavorable toward such a program. But the direction of the Trump admin. is, to put it mildly, in flux. As it lurches from tweet to tweet, it’s hard to predict where it’s headed. I have run into the irrational fear that you talk about. I have also run into people, whom I otherwise respect, who are opposed to Indian Point because it makes them “feel good”. But the dynamics of nuclear power is slowly changing in the United States because of inconvenient truths. One truth is that nuclear plants that have been shut down in recent times have not been fully replaced by renewable energy in spite of the great number of opportunities that Dr. Sklar points to. Fossil fuels, usually gas, have largely replaced the output of nuclear power and, as you have pointed out, the GHG from burning fossil fuels will be in our atmosphere for a very long time. Another “truth” is that one fear, rational or not, can be replaced by an even larger fear such as the consequences of climate change greatly outweighs any risks from nuclear power and, because of this, nuclear power appears to be more acceptable to some. Already some previously anti-nuclear environmentalists have become supporters of nuclear power. Unfortunately there are also groups of fear mongers who prey on the public, sometimes for personal gain. This has definitely been the case at Indian Point where the fiction that an accident at Indian Point would require evacuating 20 million people within 50 miles of the site has been imbedded in people’s minds for decades. Such a massive response is 1000 times too large and itself is dangerous. Better to evacuate the 20,000 or so people within two miles of the site and shelter downwind as the Japanese did with great success at Fukushima , leading to near zero radiological effects. Unfortunately the Japanese did not stop there and over-evacuated and about 1600 people have died from a variety of non-radiological causes. Fear causes stress and stress causes health effects. One can argue that fear mongers have inflicted pain and suffering on the public for their own selfish reasons. In my view the whole purpose of OEPF is to provide unbiased facts to those that are open to balanced information. We can only hope that this latter group is sufficiently large to move us in the direction of sound energy policy. In our society we have both climate change deniers and nuclear power deniers. What they have in common is that their views are often not based on science. Herschel: The irrational fear of nuclear power is pervasive and embedded in the psyche of most Americans. Fukushima, Chernobyl, 3-Mile Island, all those drills where we had to hide under our desks, and a constant barrage of media have set it up and it will take a long time to reverse it. While you may be able to convince many here at OEP to support nuclear, it will hard to spread this to policymakers, who take cues from the public when they are not taking them instead from donors. You mention, correctly, that climate change is the real issue we should be scared about. But look what happened at the White House today! The majority party of this country does not believe that climate change is dangerous (or, at least, their donors told them to say that)! And, I should add, some “experts” on OEP do not think climate change is dangerous (or even real)! People in large groups are often not rational. This fact may lead to the collapse of civilization as early as later this century even though it is (or at least was) entirely preventable. This irrationality is one reason I focus so much on the Fee and Dividend carbon pricing policy. Most people make money on the deal, it creates millions of jobs, and grows the economy by over a trillion dollars. In other words, we should implement it even if climate change isn’t real! When people hear about it, they like it… especially if they are worried about climate change. So rather than trying to convince people that nuclear power is safe, I think we should be trying to convince people that climate change is very dangerous and requires urgent action. Both are like pushing a rock uphill, but if we succeed with the later, there are many things we can do to address climate change, whether or not we embrace nuclear power. This is broadly true. But it can be overstated. There are different kinds of information. Broadcasting scientific findings generally doesn’t greatly impact strongly held beliefs. As Daniel Kahan summed up his research, what people believe depends on who they are. This is a corollary of cognitive dissonance theory. If information directly challenges a person’s social identity, it is likely to be rationalized as false or irrelevant. First, note that not all beliefs are strongly held by everyone. There is some ‘swing’ or undecided population that can be influenced by factual information. Consider that since the first Surgeon General’s report on the health hazards of tobacco use some six decades ago, social attitudes and behaviors related to tobacco use have changed substantially, albeit gradually. The young by nature have more plastic convictions than old people do. Thomas Kuhn, in his book on scientific revolutions, observed that while paradigms are hard to change by facts and reasoning, they do change by vintaging–the replacement of one generation by another. Second, other kinds of information can be used in other ways to alter perceptions and behavior. This is just what advertising and marketing seek to do. In the case of nuclear power. ‘rebranding’ is possible, especially through technological innovation. In Game Over, a history of the ascent of Nintendo, author David Sheff tells (viz. p. 168 in the original hardcover) how marketers of Nintendo’s first home game console overcame intense resistance among retailers to any kind of “video game” product — a result of being burned badly by the crash in that market sparked by the failure of Atari. The gist: Sales people were trained to convey that the Nintendo Entertainment System was a completely new product that had nothing to do with video games. The key to the marketing strategy was to get retail stores to let Nintendo put in demo displays of the product, at no cost to them, to let customers try it out. Once customers (kids) got to play with the NES, the stores saw that there was huge demand and the rest is history. Another more closely related example: When General Electric first introduced a new kind of medical imaging technology, GE at first called it a Nuclear Magnetic Resonance machine. The word ‘nuclear’ made it a hard sell, even though it was meant to refer to the nucleus of living cells, not of atoms. So GE renamed the device a Magnetic Resonance Imaging machine — and sales took off. Lewis: I agree with you that attitudes can change over time. But time is not something we have a lot of now. Fortunately, if the proper incentives are put in place, other technologies such as wind, solar, and storage can be ramped up and deployed quickly… much faster than the time it takes to build a nuclear plant. I agree with your general approach to rebranding nuclear. It can work eventually. In the meantime, we need to focus on getting the proper climate policies in place and supporting the clean energy technologies that can be deployed now. Two problems with your argument Dan. 1. Wind, solar, and storage are not cost-effective (yet). They are not reliable, economical options for baseload/dispatchable power. The most affordable ‘storage’ now is the backup power provided by dispatchable generation — notably, natural gas. 2. There is no ‘we.’ The body politic is fractured into numerous contending factions. If anything, division and polarization are increasing. The overwhelming majority are far more concerned with economic growth, jobs, and raising living standards than with ‘saving the planet.’ Pielke’s Iron Law applies: Any ‘clean’ energy strategy that is contrary to economic aspirations will not be accepted. And in fact has not been. So, “Pielke’s Law” shows that renewables are economical. But the external costs of fossil fuels are not included in their price even though such costs are real and must be paid by society. When those costs are included, fossil fuels are much more expensive than renewables. Renewables also create 3 times as many jobs per dollar invested as fossil fuels and pollute the environment less and, oh by the way, reduce greenhouse gas emissions. There really is no contest when you are looking out for the well being of society as a whole, rather than the welfare of a few influential industries. And while most storage solutions are still pricey, in the 10 years that it takes to build a nuclear plant, plentiful, cost-effective storage solutions will be available (one of our companies is working on such a solution). I think a bit of caution is needed here lest someone thinks that renewable energy has solved our climate change concerns. First, it is better to compare output in Megawatt-hours from one year to another rather than increases in capacity from one year to another. For example, a 1000 Megawatt nuclear plant operating at a capacity factor of 90% will produce three times the number of megawatt-hours a 1000 Megawatt wind farm will produce, when operating at a capacity factor of 30%. Even if the 1000 MW nuclear plant had a decrease in capacity to 900 Megawatts but maintained its 90% capacity factor it would still produce more electricity than the 1000 MW wind farm at a 30 % capacity factor. In my view, capacity-to-capacity comparisons are usually less informative than megawatt-hours to megawatt-hours comparisons. Second, one could correctly state that between 2015 and 2016 the increase in output from distributed renewable solar systems, like photovoltaic panels, increased by about 38%. This is quite impressive. However, the more complete assessment of this source of electricity is that in 2016 its output was just one half of one percent of the national electricity production. The dominant source of electricity is still fossil fuels and overstating the growth of renewables could be counterproductive if it reduces our focusing on the role of fossil fueled electricity. I would prefer conversations on when might building new gas fired plants has to an end and why and will we be able to maintain sufficient system reliability. Herschel: I would be the last person to say that renewables have solved our climate change concerns. While renewables will eventually take over electricity generation because they are cost competitive today and are getting cheaper over time, unless we greatly accelerate the transition (away from all fossil fuels), we are going to blow through +2ºC warming on our way to a “Game Over” +4ºC. Regarding measuring renewable vs. fossil fuel electricity generation, I understand there was a net decrease in fossil power (more plant closings than openings) in 2016 so you could say that 100% of the net increase in electricity generation came from renewables (in MW or MWh). To answer your question on when we should stop building new fossil fuel plants… it is now. It might cost a bit more to deal with the load/supply balance issues as renewables ramp up, but is can be done (as evidenced by other countries like Denmark and Germany). The damage caused by a fossil fuel plant lasts for thousands of years and that damage is much, much more costly than the minor inconvenience of managing the grid in a different way. Saying that fossil fuels are a low cost energy solution is like saying that asbestos is a low-cost insulation material. You can’t just talk about attitudes … when the climate change science has been subject to corporate disinformation. Read the Merchants of Doubt that describes the whole greedy attack from Exxon, the API and others … modeled on the tobacco wars and carried out by many of the same ‘tobacco’ people. “Many corporate actors, including the sugar industry, the oil and gas industries and the tobacco industry, have used tactics such as denying scientific evidence, attacking individual scientists, interfering in government decision-making processes and manufacturing counterfeit science through ghostwriting to try to convince policymakers and the public of their products’ safety in the face of independent scientific evidence to the contrary. This case underscores the urgent need for greater transparency and tighter protections to prevent these kinds of corporate disinformation tactics that could put the public at risk. Nuclear is priced out …Westinghouse Electric Company filed for bankruptcy protection on Wednesday, casting a shadow over the global nuclear industry. Jane: Bill O’Keefe, the CEO of the number one Merchant of Doubt organization, the George C Marshall Institute, is an “expert” that posts on OEP. He tells us not to worry about climate change because of easily debunked reasons (though many of his reasons are red herrings like “the CO2 effect is not linear,” that need no debunking, but are there simply to confuse the reader). While OEP is a forum to bring together many voices on climate policy, I think it is time for energy policy experts that believe in reality to take a stand against so-called experts that are knowingly trying to deceive the public. The damaging results of what happens when such disinformation is allowed to stand is clear to anyone who reads the news. Just switch to Lightbridge Accident Tolerant Fuel. This dramatically drops the fuel temperature below the 850C Zr water reaction temperature for the clad, so when flow is list the cladding does not go immediately to the Zr water reaction in 30 min. The twisted cruciform metal fuel has such good heat transfer it can be cooled by steam. The twist provides improved heat transfer and improved structural support without needing support plates. The fuel also provides lower cost, higher performance in lifetime &/or power level capability. This fuel should be structurally sound enough to operate through an earthquake, so islanding or continued power is available. This allows power to be supplied to emergency services faster, to save more lives in a natural disaster. Fisonic Energy Solutions – Power Systems can also provide higher power system efficiency, reliability, & blackout power operation or decay heat removal operating all water loops without electricity &/or providing low pressure steam electricity. It also can provide water injection, if needed again without power or by generating power during a blackout. I have followed this discussion with some interest and some amazement. The first striking “fact” was that old nuclear energy plants were subsidized to the tune of $3.9 Billion per year. That number is wrong and one must question the source. Even if you count all the R&D that DOE funds for nuclear research, it hardly goes to keeping old plants operational. So give that argument up. Second, was the “fact” that without subsidies, solar and wind were competitive with other sources. Clearly costs are going down but competitiveness is not an argument that works either. While solar and wind should be used with nuclear energy to provide clean power, we should recognize the true costs and capabilities of each generating source. Nuclear is clearly base load (available all the time) while solar and wind are variable which without a competitive storage system, they can not displace nuclear. Third, shutting down a perfectly good nuclear plant such as Indian Point and other Entergy plants (such as Vermont Yankee) prematurely makes no sense. The culprit is not ineffective emergency plans but cheap CO2 emitting natural gas plants due to their “too cheap to meter” prices. Depending upon how long you forecast such low prices, that situation can change quickly especially if we begin exporting natural gas as is planned. The world price is much higher than the US price due to our abundance of “fracking” which has its own, yet to be understood issues. If climate change matters, these shutdowns should be avoided by providing nuclear energy plants similar clean air credits as provided to solar and wind, eliminating political requirements to build solar and wind regardless of cost, eliminating “must run” requirements for solar and wind, and a rational dispatching process that dispatches power on real costs of generation, not marginal costs. Should these be implemented, we might make real progress on meeting clean air targets. I must have missed the comment about old nuclear plants being subsidized at $3.9 billion per year. As to the Indian Point shutdown, I am just now writing an in-depth critique of this fiasco and will make it available to all when completed.